Ringwood Manor is a National Historic Landmark District, having historical importance spanning from Native American occupation through the early 20th century. The surrounding Ramapo Mountains' rich magnetite iron deposits made the area a major iron supplier and became the home to a succession of ironmasters for over two hundred years. During the Gilded Age, Ringwood Manor became a large summer estate for partners Peter Cooper and Abram S. Hewitt and their families. In 1938, the house, its contents, and the surrounding property were donated by the family to the State of New Jersey as a museum and a state park. With original historical structures, gardens, and landscapes on 582 acres and extensive historical collections illustrative of family life, community, industry and culture, Ringwood Manor is a unique repository of American history. Today, Ringwood Manor is a central part of Ringwood State Park and administered by the NJ Department of Environmental Protection, Division of Parks and Forestry. Come explore the Garden of the Garden State. From the delicate shades of a tiny wildflower to the vibrant colors of massed annual plantings, Skylands is a place of beauty in any season. Here you can wander amid the elegance of formal gardens, or along gentle paths winding through the woods. The NJBG includes 96 acres of specialty gardens surrounded by 1000 acres of woodlands. You're invited to wander and explore the miles of marked trails. Skylands is also a safe haven for unusual plant species from around the world. The garden protects and preserves these plants as their natural habitats are changed forever by progress. 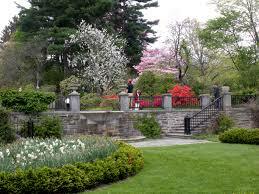 Enjoy your visit to the New Jersey State Botanical Garden at Skylands! The Highlands Nature Friends, Inc., a 501(c)3 nonprofit, is the proud owner and operator of the former Weis Ecology Center in Ringwood, New Jersey! Located in the beautiful Highlands Region of northern NJ, we renamed this special place The New Weis Center for Education, Arts & Recreation to reflect our expanded mission. With the help of our board and volunteers, and the support of our partners, sponsors and the surrounding communities, we continue to focus on restoring the main building for the multiple uses we have planned, improving the landscape of our 150+ acre property, and planning a variety of programs and events for all ages. It's an exciting time at Weis!